– adaptation to patch 1.33. 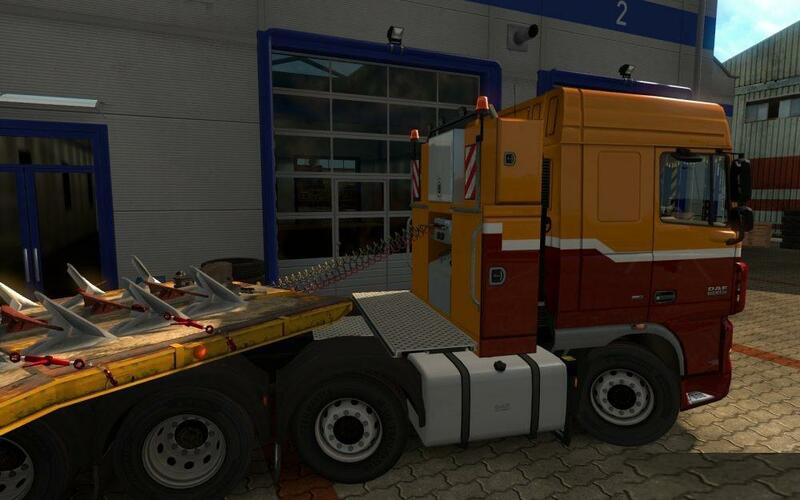 – fixed trucks in companies to work with double trailers. – a slot for installing decals has been added to the windshield. – windshield rendered in tuning, added options for glasses with colored stripes. – fixed display of icons for accessories. – for the rear mudguards Euro 6 added their own license plates. – added external models for the upper console cab Space Cab and Space Cab Plus. – slots are added to the door boxes. – added models of glass cleaning products. 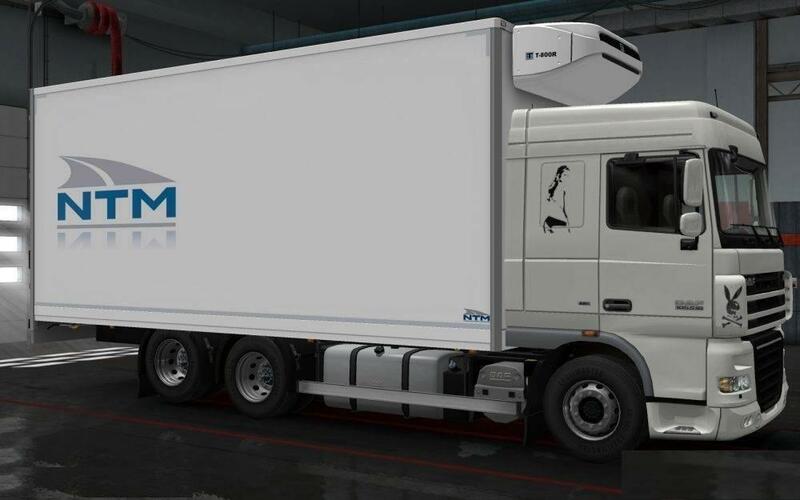 – added Donovan Paccar Company mudflap and decals. – updated configuration files for paintjobs from various DLCs. – reworked rear lamp euro 6. – modified template for metallic interior parts. Currently supported game version: 1.33 end with DirectX, work on other versions – is not guaranteed. Attention, if you are using a mod for physics – in the mod manager, install the mod on physics BELOW addons DAF_XF_by_vadik_v.6.3 and Kraker/NTM_for_the DAF XF by vad&k !!! Attention, if you use the adapted physics for the DAF XF105 mod from vad&k, do not forget to make changes to the configuration files that are in the defvehicletruckdaf.xfchassis and defvehicletruckdaf.xfcabin!